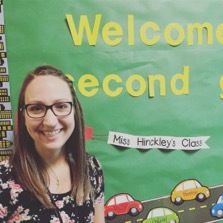 It has been awhile since I last posted, but for a good reason… I accepted an intern position in Jordan School District and started teaching second grade in July! It has been quite the adventure! As I have reflected on the beginning of my time as an intern, the phrase “jumping in with two feet” has come to mind. 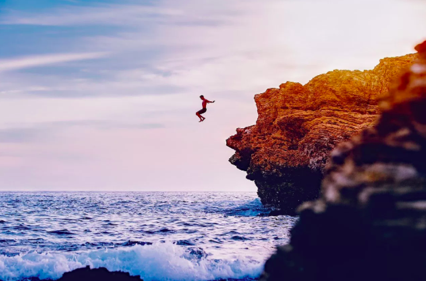 I think we’re pretty familiar with this idiom, but I looked up the meaning and found the following: Jumping in with two feet means “to begin or undertake something quickly, enthusiastically, and without trepidation”. In my case, I definitely had to take on a second grade class quickly… I finished my TELL student teaching experience at the end of June and the first day of school was on July 26th! I had to be enthusiastic… which wasn’t hard because teaching is a dream come true for me and second graders are still excited about school! Finally, I can’t say that I wasn’t nervous, but I heard once that, “being nervous shows you care about the outcome”. So, I think being a little bit nervous is good! Throughout my years taking classes in the McKay building, I always heard the options of student teaching, interning, and student teaching abroad. I always leaned towards interning. It worked out for me time-wise and by the end of my practicum experiences, I felt ready to have my own classroom and implement my own classroom management plan. I was ready to “jump in with two feet”! As it turns out, I really was ready! Professors, Clinical Faculty Associates (CFAs), and academic advisors are honest about the rigors of the internship option. It is, indeed, difficult. I am a few months in and I can definitely say that it is hard, but it’s also really fun! I have loved the chance to set up my own classroom and decide what procedures to implement. There were some procedures that I didn’t implement week 1 because I didn’t even know I needed them! I think that’s part of “jumping in with two feet”! There is a steep learning curve, but this experience has been so rewarding! Since I was hired to teach at a year-round school, I started on July 26th, instead of mid-August, I had to try to wrap my head around a curriculum that I wasn’t familiar with and a class full of students I hadn’t met yet… all in about one month. Somehow I did it! It has been stressful to make things up as I go, but when those things go well, it’s so rewarding! I have a facilitator, or a mentor teacher, that has been by my side every step of the way. A big part of her job everyday is helping me! When I have questions about a student with an IEP (Individualized Education Plan) or how to teach art next week, she is right there to help and give me advice. The grade level team that I am a part of is so supportive, and so is my principal. If you’re wondering whether or not to pursue a degree in teaching, or whether or not to intern, I would say… Go for it! Jump in with two feet… it’s so worth it!